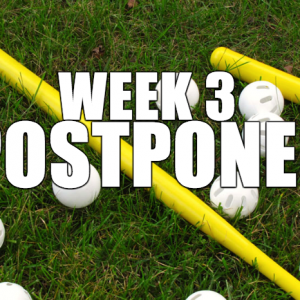 Week 3 has been postponed due to some unforeseen circumstances. Between Mother’s Day, predicted rain, and damage to the fields at Moose, we will be moving week 3 games to June 18th. If games can be made up throughout the season, we can certainly do that in the 9:30 and 2:30 time slots if necessary. Email the commissioner with any questions.